Well, the year is coming to a close. 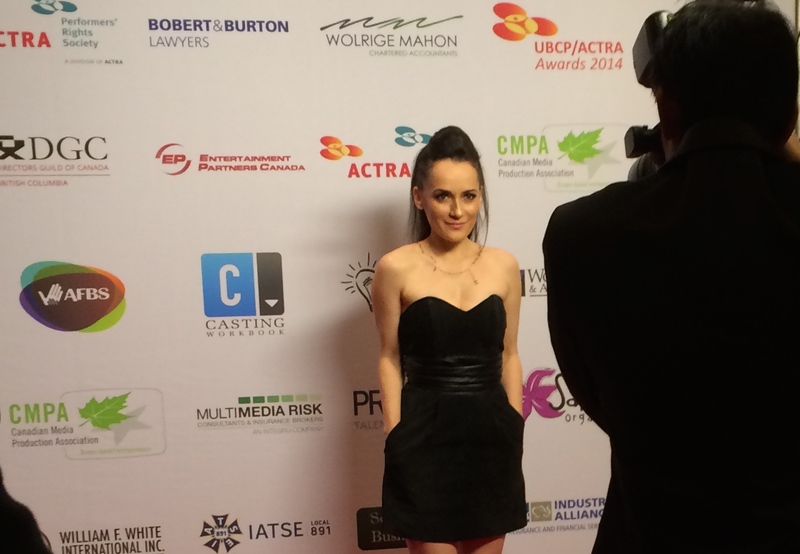 And a year is about the time we have been waiting to hear from the wonderful young actress/screenwriter we are so happy to be able to have featured here at Trainwreck’d Society today! And trust me, we’d wait until the end of time to get a few words out of this talented individual. 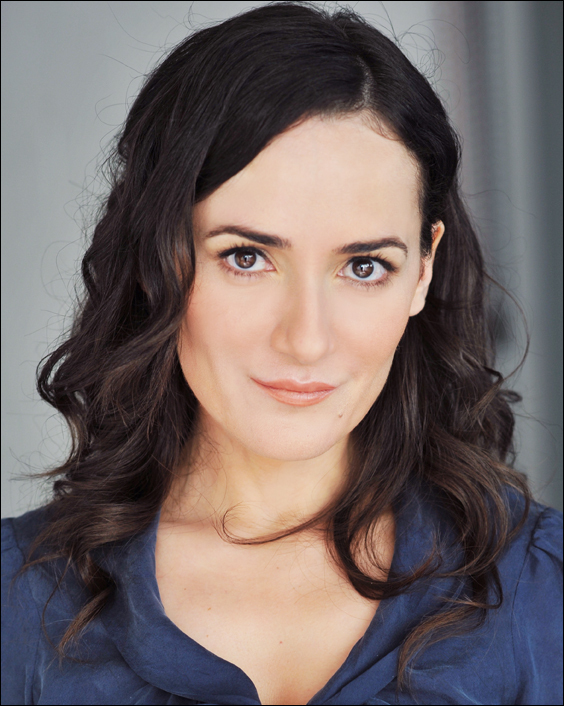 Rebecca Husain has been making some wonderful waves over the years as an actress, animation voice over genius, and screenwriter. It was definitely her work as a voice actor on the brilliant animated Hulu Original Series Mother Up, created by the great Eva Longoria, that caught my attention first hand. But, after looking a bit into the stellar career she has had, and that she obviously will have, I became even more intrigued. Besides her brilliant work as an actress, Husain has recently been hard at work penning the film adaptation of Luis Alberto Urrea’s The Hummingbird’s Daughter which has recently had Antonio Banderas attached as a star. Rebecca will also be putting her acting chops to work in the stage production of Noel Coward’s play “Private Lives”. And we are so happy that she has come around to share a few words with us here. So ladies and gentlemen, without further ado, I present one the wonderful Rebecca Husain! Enjoy! When did you know for absolute certain that you wanted to work in the world of film, both in front and behind the camera? I found my first job when I was ten. A Hollywood movie was coming to town and they ran a tiny ad in the newspaper with stars around it screaming- WANTED: VOLUNTEER MOVIE EXTRAS! I cut it out and carried it around in my pocket for days. On the day of filming, my mom woke me up at dawn and I remember trying to convince her that I didn’t need to wear a coat. (I lost.) We drove downtown and I saw huge movie lights being pushed down the street. After we signed in, we were given a ticket for a boxed lunch and that ticket made me feel very professional. We spent all day cheering as a float carrying Santa rolled down the street, reversed, rolled down the street again. There were thousands of people in the crowd but I cheered like the close-up was on me. Filmmaking was something I always gravitated towards and my parents were very supportive. My mother put me in theatre school, chaperoned when I worked as an extra, sewed gold sequins on my green swimming costume… On weekends my dad and I would sit at the kitchen table writing scripts. Now that you have worked in various different settings in the world of film & television, what is it that keeps you working and yearning for more? What gets you excited about this world? The quiet creation that takes place when you are alone and working on a role or writing a script; and the colorful collaboration that follows while on location in some faraway land. What I love about working on set (or on stage) is that for a pocket of time an entire world springs to life –spinning with passion and high stakes– and then just as suddenly as it appeared, it disappears when the lights are flicked off. The same is true for screenwriting. On a good day I’ll sit down at my desk and within minutes I’ll be galloping across the desert off on some wild adventure with my heroine or crawling through a flea-infested garrison eavesdropping on injustice and strategic cruelty. How did you land the gig voicing Eva Longoria’s character’s daughter Apple on the Hulu Original Series Mother Up? The producers had been searching for an actress for months. When I saw the casting call for the role of Apple it was headlined with – URGENT! Although I’d never done any voice work, I had this odd feeling that the role was mine. I ran to a studio and the sound engineer recorded my audition on his break. I sent it off and put it out of my mind. Two days later show runner and head writer Greg Lawrence called me with direction and asked me to record a second audition. The following day I was put on “hold” and a few weeks later I got the part. Some of the content on Mother Up is downright hilariously foul, in all the right ways. It really is just hilarious. What is it that draws you to work for a show like this? Working with Eva Longoria and the rest of the cast is unbelievably fun. I’m in a sound studio with all these hip actors but then someone will open their mouth and a cranky centenarian will float out! In addition to Apple, I also play Fergus, Megan, Agnes and Nurse Higgins. In animation you can take the jokes a lot further and the writing team have created devilishly dysfunctional characters. One week Apple is hit in the head by lightning and reawakens as a five-year old prophet leading her deranged neighborhood to salvation; and the next week her mom sprays her food with performance enhancing drugs that leave her sprouting pimples, a moustache and flinging classmates around at recess. What’s striking about this series is that it centers around a fierce but flawed female character. Rudi Wilson is a clever high-powered Manhattan record executive who suddenly finds herself plonked in middle-of-nowhere suburbia as a stay-at-home mom. She’s not equipped to nurture and this severely unhinged town intends to take her down. Although her heart is not always in the right place, it’s generally in the right vicinity and you can’t help but root for her. 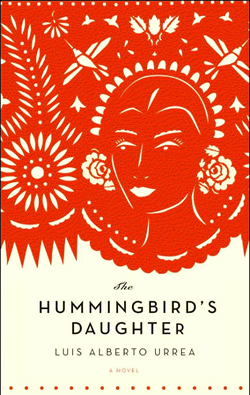 Can you tell us about your script adaptation of the award-winning book The Hummingbird’s Daughter? What made you want to pursue this adaptation? Director Luis Mandoki sent me the book. We’d been looking for a project to write together and this was it. I read the first page of Luis Alberto Urrea’s masterpiece and just couldn’t put it down. I read straight through the night and all the next day. The Hummingbird’s Daughter is based on the life of Teresita Urrea, the Mexican Joan of Arc and Saint of Cabora. Set in the 1880’s against a burning desert backdrop ripe with violence, the story centers around the extraordinary bond between a wealthy cattle rancher Tomás Urrea (Antonio Banderas) and his illegitimate daughter Teresita; a resilient little girl born with the power to heal others with her hands. There’s a really lovely scene where she tiptoes into his magnificent house (leaving a trail of muddy little footprints across his plush white carpet) and meets her father for the very first time. They don’t quite know what to make of each other and yet there is an instant connection between this spiritual little six-year-old and this outspoken liberalist. Years later, when the people of Mexico are rising in revolution against their iron-fisted dictator and crying out Teresita’s name, Tomás sacrifices everything in an attempt to save her life. Our script is gritty, a little Peckinpah I’ve been told, but with all the heart, humor and fury found in the book. What else does the future hold for Rebecca Husain? Any other new projects in the works? Right now I’m in rehearsals for Noel Coward’s play Private Lives. I’m listening to a live performance of Elvis singing “Can’t Help Falling In Love.” How can you not smile?